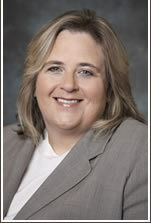 Ms. MacIvor, a partner at Foreman Friedman, possesses substantial expertise in complex litigation. Throughout her years as a litigator, she has maintained a winning track record. She has innovatively defended business-related cases, class actions, and in state and federal courts and at the Florida Supreme Court. Her class action experience is listed below. Additionally, Ms. MacIvor has developed expertise in defending Americans with Disabilities Act and Title VII cases and the application of law to social media. She has lectured on emotional injury cases at the Legal and Insurance Seminar, International Council of Cruise Lines, Ninth Annual Leadership Forum, and has been presented on social media for risk managers in South Florida. She has developed corporate policies and procedures, manuals, training and given seminars on the Americans with Disabilities Act, Title VII, sexual harassment, assault, and successfully defended numerous cases regarding same. Sun v. Norwegian Cruise Line, Case No. 02-19071-CA-15 (11th Judicial Circuit in and for Miami-Dade County). Class certification denied in crewmember maintenance and cure claim. Zagone v. Carnival Cruise Line, Case No. 02-22927-CA-01 (11th Judicial Circuit in and for Miami-Dade County). Final Summary Judgment granted in class action based upon breach of contract. Elliott v. Carnival Cruise Line, Case No. 02-23253-CIV (S.D. Fla.). Class certification denied for passengers who sought refunds for the breakdown of the vessel. Elliott v. Carnival Cruise Line, Case No. 02-23622-CIV (S.D. Fla.). Consolidated action requesting refunds for the breakdown of the vessel. Settled on very favorable terms. Norwegian Cruise Line v. Rose, 784 So. 2d 1248 (Fla. 3d DCA). Appellate court decertified Norwalk virus class action for three successive cruises. Rose v. Norwegian Cruise Line, 825 So. 2d 342 (Fla.). Supreme Court determined that jurisdiction on Norwalk virus class action was improvidently granted and Third District decision stands. Pollack v. Norwegian Cruise Line, Case No. 908-00621-CIV (S.D. Florida). Norwalk virus class action decertified. Hutton v. Norwegian Cruise Line, Case No. 99-2383-CIV-Moreno (S.D. Florida). Class certification denied for passengers who brought emotional distress and personal injury claims after collision in the English Channel. Stewart v. Norwegian Cruise Line, Case No. 99-2383-CIV-Moreno (S.D. Florida ). Class certification denied for passengers who brought emotional distress and personal injury claims after collision in the English Channel. Stewart v. Norwegian Cruise Line, Case No. 01-1436-CIV (S.D. Fla.). Denials of class certification in Hutton and Stewart matters affirmed. Lee v. Norwegian Cruise Line, Case No. 99-03242-CIV-Middlebrooks (S.D. Florida). Class certification denied in crew member wage claim. Cortijo et al. v. Royal Caribbean Cruise Line, Case No. 99-03300-CIV-Marra (S.D. Florida). Consolidated action on behalf of passengers bringing personal injury and mental distress claims based upon vessel grounding settled on very favorable terms. Samofal v. Royal Caribbean Cruises, Ltd., Case No. 99-14275-CA-01 Eleventh Judicial Circuit in and for Miami-Dade County. Class action for emotional distress and personal injuries based upon vessel grounding dismissed. United States of America v. Norwegian Cruise Line, Case No. 01-00244-CIV-King (S.D. Fla.). ADA violation claim brought by the Department of Justice wherein a favorable settlement was achieved. United States v. Norwegian Cruise Line, Ltd., 2004 U.S. Dist. Lexis 22585 (May 24, 2004 S.D. Fla.). Department of Justice’s Motion for Order to Show Cause as to why cruise line should not be held in contempt denied.